This is a complete guide covering various addiction and abuse issues, statistics, laws and resources in the state of Connecticut. Heroin and opioids are some of the most devastating and widespread drug problems in the state, learning what can be done to combat this problem. We will provide you with statistics and laws based on the opioid epidemic. Connecticut is taking action to fight this problem, we will explain what exactly The Constitution State is doing in this situation. This guide will also provide helpful in state resources. We will go over the marijuana and alcohol laws as well as DUI charges. If you or a loved one are currently struggling and are seeking immediate help for addiction, please visit Connecticut medical detox locator. Connecticut is one of the states deeply affected by the scourge of opioid abuse. The state's growing opioid epidemic was highlighted in a recent study by the U.S. Centers for Disease Control and Prevention. The 2016 federal report showed that Connecticut had the second-highest percentage increase in the rate of synthetic opioid deaths from 2014 to 2015 out of 28 states included in the study. The report also found that on average, two people die of a drug overdose every day in Connecticut. More people die in Connecticut from overdoses than in car accidents or by gunshot. The 723 deaths in 2016 were more than twice the number from three years prior. On the national scale, Connecticut has surpassed the national death rate for drug and opioid overdoses since 2013. Drug-induced death in from that time through the present is the leading cause of injury death among adults in Connecticut. There is a general lack of training for providing life-saving education and opioid abuse awareness to practitioners. Combined this with the fact that almost 80 percent of the prescribers for opioid medicines are primary care doctors and not pain specialists and there is a very powerful catalyst for over-prescription and medication abuse. Regarding higher education and how future doctors are being trained, according to a 2011 study, of 133 medical schools, only five had offered any course of training on how to treat pain, and only another 17 offered it as an elective. The increase in overdoses persists even after continued efforts by federal, state and local lawmakers to increase the availability of naloxone, a drug that reverses the lethal effects of an overdose. Legislation signed into law last year required Connecticut cities and towns to have policies in place to provide first responders with naloxone. Seeing a positive trend to the distribution of naloxone, among the first responders carrying the drug is Hartford Fire Department, which has logged more than 200 saves since November of 2015. This type of legislation is one in a series proposed by state lawmakers that has increased access to the life-saving drug and should continue to make naloxone more available throughout the state. Emergency rooms are being inundated with visits and emergency response to opioid-related incidents. Connecticut ranked among the highest in rates for men and for people in the age groups between 18 and 64 years old, according to the report, to visits related to opiate-abuse. However, Connecticut ranked among the lowest for patients above the age of 65. When it came to inpatient stays for opioid-related issues, Connecticut’s rates again ranked among the highest for both men and woman, as well in all but one age group — a fact that researchers highlighted in a recent state report. When hospital emergency department directors met several years ago, they began discussing this new issue. Carl Schiessl, director of regulatory advocacy at the Connecticut Hospital Association, said an individual, or a family with someone in crisis, often will go straight to an emergency room before any other option, since it's open and staffed 24 hours a day, but he said that after the emergency is mitigated, the hospital then needs to consider how to get the patient the best treatment to eradicate the problem of addiction. "It's seen all across the state and not just in localized regions"
Not only is the epidemic issue felt across different age groups, but it's seen all across the state and not just in localized regions, from Windham County to Fairfield County. In the face of those trends, Connecticut's emergency medicine physicians were among the first in the nation to recognize that the prescribing practices were an issue. The group voluntarily adopted a guideline in 2015 for how emergency departments would prescribe opioids and worked with state officials to create new legislation. Gov. Dannel P. Malloy has put forward and signed legislation aimed at curbing the growing opioid epidemic in Connecticut. The governor’s bill-signing ceremony to ensure higher education and free resources came days after the Office of the Chief Medical Examiner reported that an average of nearly three Connecticut residents are dying every day from accidental drug intoxication in 2017. The state is now on pace to hit more than 1,000 opioid-related deaths per year, which would 2016’s record of 917 deaths. "Examiner reported that an average of nearly three Connecticut residents are dying every day from accidental drug intoxication in 2017." A new bill being proposed requires first responders to carry overdose-reversing drugs such as naloxone, limits initial opioid prescriptions to seven-day supplies in cases involving acute, non-chronic pain, makes changes to a prescription monitoring program designed to help prescribers identify patients who could be misusing drugs, and charged the state’s Alcohol and Drug Policy Council with developing plans to reduce the number of opioid-induced deaths in Connecticut. Other measures are being used to curtail the epidemic. As deaths continued across the state, officials have also bolstered drug disposal efforts as a way to head off the potential for addiction that prescription opioids represented. Recently, state officials said that drug disposal boxes, located across Connecticut, collected 333,803 pounds of unused medication 2016. This is was a sharp increase from the previous year. "Connecticut, collected 333,803 pounds of unused medication 2016." Among other measures was a requirement that medical professionals generate all prescriptions electronically. The proposal would also allow home health care nurses to destroy unused medication. The proposal would also allow people to include a form stating that they do not want to receive opioids in their medical files. For those being prescribed opioids, the proposed legislation would require that those patients receive information about the risk of addiction. Along with these measures, the proposed legislation would remove barriers blocking state agencies from sharing data and foster cooperation between these Connecticut institutions. Unfortunately, these attempts at reform had been made before and been met with tepid response. In 2013, a public act required prescribers in Connecticut to register with the prescription monitoring program that started in 2008. By 2014, half of the prescribers in Connecticut still had not registered. Those who did found the system time-consuming and had difficulty using the registration portal. "By 2014, half of the prescribers in Connecticut still had not registered." Regarding the electronic prescription monitoring initiatives, it does not include data from neighboring states, so many patients, especially those who live in towns that border New York, can go back and forth between doctors with neither side sharing the knowledge. Of course, abusers of prescribed opiates will switch to heroin and fentanyl when the opioid is no longer available. In a trend seen all across the nation, Connecticut is no exception. With the tightening control on prescription painkillers, people are driven to switch to heroin or fentanyl, which is cheaper and far more available. From 2014 to 2015, the number of times fentanyl was found in the bloodstream of overdose victims increased 150 percent. In 2016 it was responsible for one-quarter of all drug overdoses. Drug overdose deaths involving heroin continued to climb sharply, and heroin overdoses more than doubled from 2012 to 2015. "The citizens of Connecticut have to rely on first-responders being able to administer Narcan"
Connecticut faces a lack of viable treatment options for people caught up in the epidemic. Little has been done in terms of creating treatment and prevention options. Hospitals typically don't have treatment or rehabilitation beds. For now, the citizens of Connecticut have to rely on first-responders being able to administer Narcan and slow but steady progress of legislation to bring the state closer to strictly monitored opioid distribution so the epidemic can be slowly eradicated. The following links are helpful resources regarding the opioid epidemic, prescription drug abuse, mental health issues and state funded assistance. Learn more about opioid substance abuse treatment options in Connecticut as well as various mental health and addiction services. The Connecticut Community for Addiction Recovery is an extremely beneficial and can help those struggling and their loved ones through this difficult time. Heroin is one of the most addictive and deadly substances on earth. Seek out professional help to overcome the intense physical withdrawals with minimal pain. 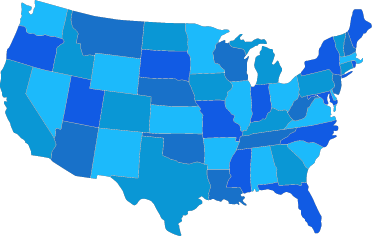 Prescription drugs are extreemly popular in the United States. Millions of people struggle with abuse or addiction to these medications. Get help today. Connecticut is facing an opioid epidemic. There has been a huge rise in overdose deaths linked to this dangerous classification of drugs. Help is available, click here to find out more. Alcohol is the most popular mood and mind altering substance on Earth. Overcoming alcohol dpendancy alone is extremely painful and dangerous. Medically assisted detox is available. Marijuana is the most popular illicit substance in the United States. Click here to learn more about marijuana detox centers. Cocaine is a very powerful and addictive stimulant. It is possible to feel mentally addicted after just one use. Find out more about getting clean by clicking here. Crack is an absolutely devastating drug. Quitting without porfessional help is very difficult and often unsuccessful. Get professional help today. Teenagers will experiment with drugs and alcohol, but when does it become an issue. Learn helpful hints and warning signs, it can save a loved one's life. The withdrawals from benzodiazepines is extrmeely painful and dangerous to attempt without proper medical assistance. Medically supervised detox is a necessity, get help today. If you or a loved one are struggling with abuse or addiction issues. If you have recently found yourself in legal trouble due to your drug use, we may be able to help. Call our toll free line today, an addiction specialist is standing by ready to help in any way possible. They will answer all questions you may have. If you or a loved one are struggling and do not see a nearby city on this list, give us a call today for additional assistance. Serving age: To sell packaged alcohol you must 18 years old. To bar tend, you must be 21 years old. You must be 18 years or older to wait tables in restaurant that is consuming alcohol. Monday-Friday Liquor may be sold 7am-2am. On Sunday, it is 7am – 4pm. Laws can vary by city or county, so be sure to check with your local jurisdiction for more accurate information. "To sell packaged alcohol you must be 18 years old." Wine and liquor can be sold from liquor and grocery stores every day from 10am – 11pm, and on Sundays from 10am – 6pm. Limited medical marijuana is allowed Connecticut and small amounts have been decriminalized. The possession of major quantities of marijuana can bring jail time and fines. This is a civil penalty which carries a $150 fine for the first offense, and $500 for a subsequent offense. If you are determined to be selling or trafficking marijuana, the second offense is a felony. This carries 1-6 years in state prison and up to a $1,000 fine. This is a felony and carries 1-6 years in prison and up to a $5,000 fine. A subsequent offense is also felony but carries an additional 5-10 years in prison and up to a $15,000 fine. This is a felony and the first offense carries 5-10 years in prison and a $10,000 fine. A subsequent offense carries 10-20 years in prison and up to a $20,000 fine. Selling marijuana to minor is always a felony and carries 5-10 years in prison and up to a $10,000 fine. The subsequent offense can carry 10-20 years in prison and a $10,000 fine. Possession of marijuana paraphernalia is Connecticut is a civil penalty and carries a $150 fine.